We are a carpet & upholstery cleaning company. Our services come with the promise of quality & dedication in everything we clean. With our experience and expertise we guarantee customer satisfaction that you can always depend on. We are an Institute of Inspection Cleaning and Restoration Certified company. We are also a Carpet & Rug Institute certified company. Our Technicians are experienced & certified. We offer a 2 week guarantee for all our services, along with free estimates. We provide senior discounts to those 55 or older. 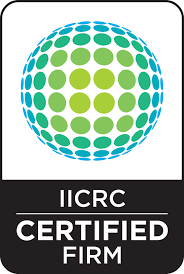 In order to maintain your carpets warranty you must have it cleaned by a IICRC & a CRI certified firm. We are insured & bonded for your protection. Our process we use is hot water extraction with a state of the art truck mounted machine. We use a solution called Procyon, which is pet & child friendly, no soapy residue, asthma & allergy approved, indoor air quality certified, is non-toxic & no odor! Procyon is also green seal approved. We have been in business since 1991 and are continually growing. We are a certified green company, which means we use green environmentally safe cleaning products. We also use a state of the art truck mounted machine, with improved suction for faster dry time. We also take the time to blow dry your carpets once we have completed the cleaning process. We are proud to serve Cottage Grove, Creswell, Eugene, Springfield, Coburg, Pleasant Hill, Dexter and everywhere in between. Would you like to purchase a bottle of our spotter?